What Kind of Tabs Weirdo Are You? I have very few rituals around work, but one of them is getting very mad and swearing at my computer around 5 p.m. (nearly) every day because either my computer or my internet or both are freaking out. One hypothesis, offered by my colleague Jack—who has a knack for offering helpful solutions for potentially avoiding any problem, you know, next time it happens—is that I rarely close my browser tabs. Do not tell me I’m wrong about this; I love my tabs!! Why would I waste valuable seconds of my life opening Gmail in a new tab each morning, opening my work calendar, and opening all my other various mainstay tabs when I could just slam my computer shut at the end of each day? It’s liberating, you should try it! So by the end of the week, yes, I have one million tabs: online shopping tabs, news story tabs, Splinter tabs, longform tabs that I’ll resign myself to never reading, tabs, tabs, tabs. You can imagine my disgust when several of my colleagues revealed that they do not, in fact, share my outlook on tabs. I’ll allow them to explain their philosophy in their own words here and allow you to decide who’s sane and rational and who’s a tabs weirdo. Katherine has already mentioned the #1 reason to keep your damn tabs open which is: you’re going to need them tomorrow!!! Yes, sure, there are times when you should let go of an article you’ll never read, a pair of shoes you don’t really need, or a tweet you were gonna rage reply to five hours ago....but there are several tabs that I use every single day!! 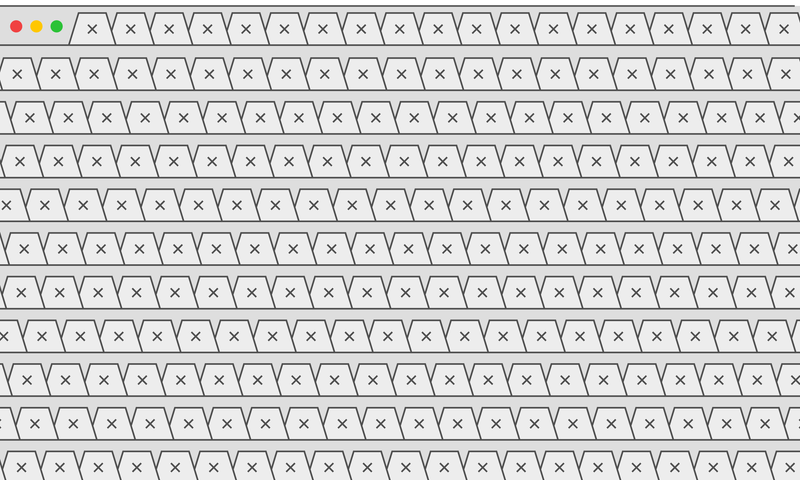 Those tabs (and usually a few others that I’m not ready to let go of yet) stay open every night when I shut my laptop. And to be clear on the motivation here, I’d never advocate the kind of lifestyle in which you make every choice with efficiency in mind, but shutting it all down every night seems like a terrible waste of time. Help your future self and keep some tabs open. I like to close tabs, but the end of the workday bears no meaning to my tabs at all. I only close a tab when I’m done with it, or when it’s been open for so long—usually four or five weeks—that I have to admit to myself that I’m never going to read it, or that the story I was going to pitch about the tab is now hopelessly outdated. I am not generally one of those people who has so many tabs open I can’t see which one is which, though. I tend to close tabs right after I’m done with them; a little treat, like crossing off a line on the to-do list. The only relaxing tabs-closing feeling I get is when I file a piece and I can close every related tab, finally confident I won’t need the Google results for “what is healthcare” and “how to write blog” anymore.